Omega company is going to produce new watch. The watch will be good for secret agents. You will see the watch in the following movie about James Bond. The name of the watch is The Seamaster Aqua Terra 150M James Bond. The watch is made of steel, it has a blue dial and yellow hands. Its mechanism looks like a barrel of a pistol. There will be only 15,007 pieces of the watch, all over the world. If you like it, you will have a possibility to buy it at the beginning of October 2015. Omega company is going to release a new watch onto the market. This watch are made especially for the 24th Bond movie and are suitable for the secret agents. Real fan of the Bond movies may be able to identify various symbols of 007 in the watch. For example, through the glass back of the watch you can see its inner mechanism which resembles the barrel of a pistol. 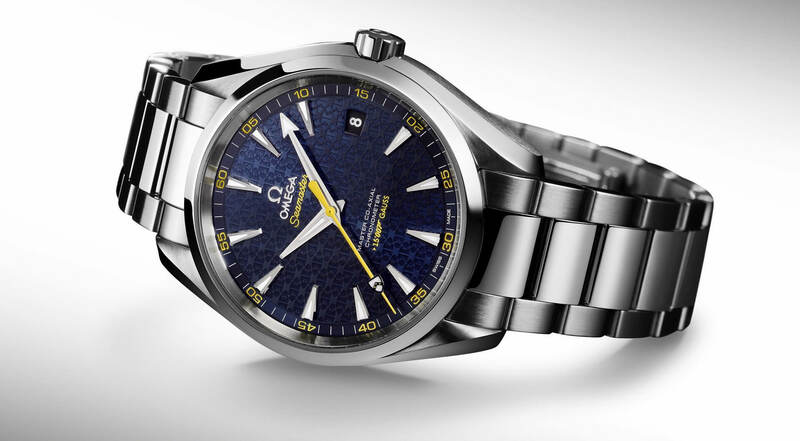 The Seamaster Aqua Terra 150M James Bond is made of Stainless steel. The production of the watch starts at the beginning of the October 2015. However, if you want to be an owner of the watch, you must be quick. Only 15,007 pieces of it will be made and sold.